I've seen this asked on another forum so thought I might give it a go here. 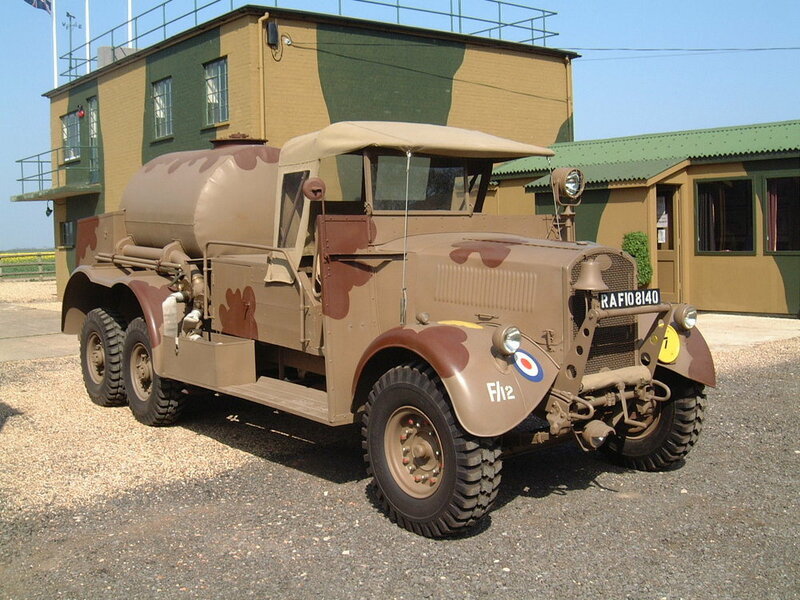 In WW2, what colour would the emergency vehicle's at RAF bases (especially the fire tenders) be painted in? The Airfix kit of an Austin K6 fire tender says it should be in red, but the Fordson fire tender I saw the other day was a sort of olive drab, and i've seen models in RAF blue, can anyone help out? The lime green on Tony's Fordson; was it an official colour or just something available when the vehicle was converted to a Trucktor in WW2? I would hardly describe that colour as 'lime' green, more of a light olive drab. Why don't you ask Tony? The green & brown where the colours that I found under the layers of paint that where removed very carefully . The paint was copped as close as possible . The “lime green” seems to be (or close to) Green G5, although my understanding is that this was usually used as a disruptive colour over khaki green G3 rather than being used with SCC2. Never say never though! Regarding the reference after Khaki Green No 3, does anyone know anything more about 'WD Specification MC205'? Is there any mileage in researching it regarding RAF camo? I don't recall seeing the MC 205 reference anywhere else but I'll have a look through my motorcycle contract records. Bearing in mind that it was a Motor Cycle contract, I wonder if the M C meant simply that. 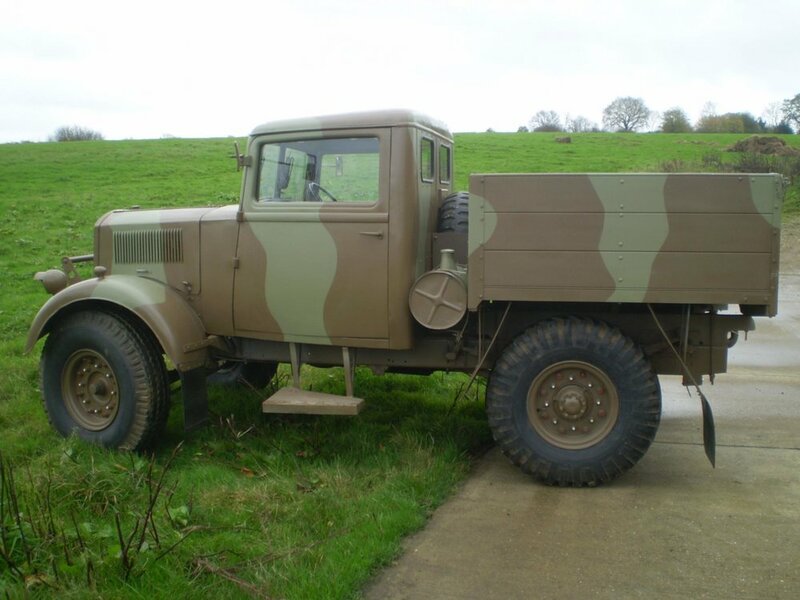 I guess Tony your vehicle was converted at a time when RAF camo was yet to be formalised, so I suggest pre-1941. Is that the likely time for the conversion? I agree with Simon, the "lime green" does appear like it should be Light Green No.5. the downside of using in-situ paint examples is the colour change over time- unless a preservative layer was put over it before the next layer of paint then it does unfortunately change eventually. The conversion would have been performed by either Allan Taylor, who converted both the WOT3 and Thames 7V, or Reynolds who only worked on the WOT3. There were differences, but i don't have the relevant databook to hand at this moment. The WOT 3 has a FORD data plate / ALLEN TAYLOR / BRIGGES BODY plates on it. So I know its manufacture ,I.would like to know wot location it was converted . Your comments are very useful, in relation to vehicles that have been repainted, and if I understand you correctly MV owners cannot trust the colours they find under layers of paint as they may have either been 'watered down' versions of official colours or may have been faded colours that were covered up with more paint. I suggest the only true colours to trust are those applied on the production line as a manufacturer isn't going to allow such wild variations as you would find in field workshops, and presumably like aircraft production there would have been a man from the ministry to ensure SCC.2 was near as dam it the same on a Bedford as on an Austin. 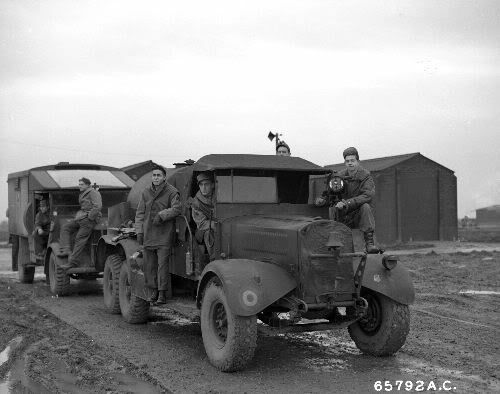 Also there is a difference between vehicles camouflaged in a hurry for an overseas campaign and vehicles retained on home stations, where supplies of paint to workshops would not be so fraught as say supplies shipped to the Med and at risk of U-Boat attack. 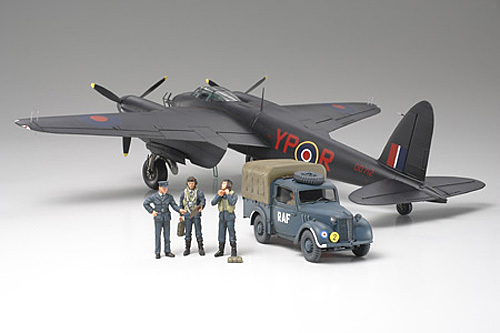 Incidentally my aim is to try to get a reasonable chronological order of RAF Camo colours hopefully by finding the AM orders to give a reasonable time frame of such changes. Tony, Allan Taylor did the actual conversion work according to the RAF, so i would presume Wandsworth. It was actually largely the Hillman tillies that were used by the RAF. Oh yes Bryan I missed off Hillman, which is strange as I was working on one for a friend not so long ago! As for my suggestion that the RAF never had Austin Tillies (nor Austin K2 Ambulances in the UK during WW2) would the RAFM be able to confirm these 'facts' from their records? Larry you are correct, the RAF did not use (at least any appreciable numbers) Austin Tillies. Baz - yes, indeed, the good old Albion and the WOT1. 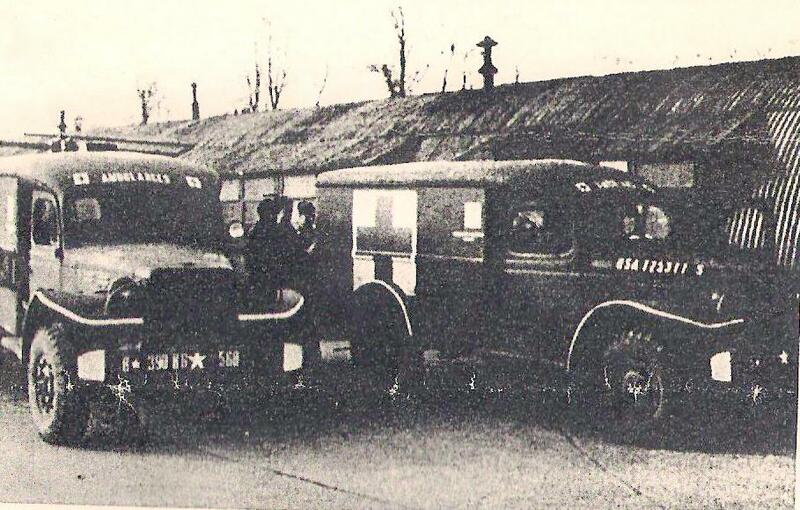 Other chassis that were used for different ambulances at home and abroad during the war were things like Ford F60L, C298QF and WOT2; Humber FWD; Morris Y; Standard 14hp...possibly more. The only pre 1945 photographs i have seen of K2 Ambulances on RAF home stations actually show Red Cross/St Johns/Other aid agencies, waiting to collect casualties being flown in. Simon - couldn't you tell it was supposed to be overseas by the tropical North London surroundings? 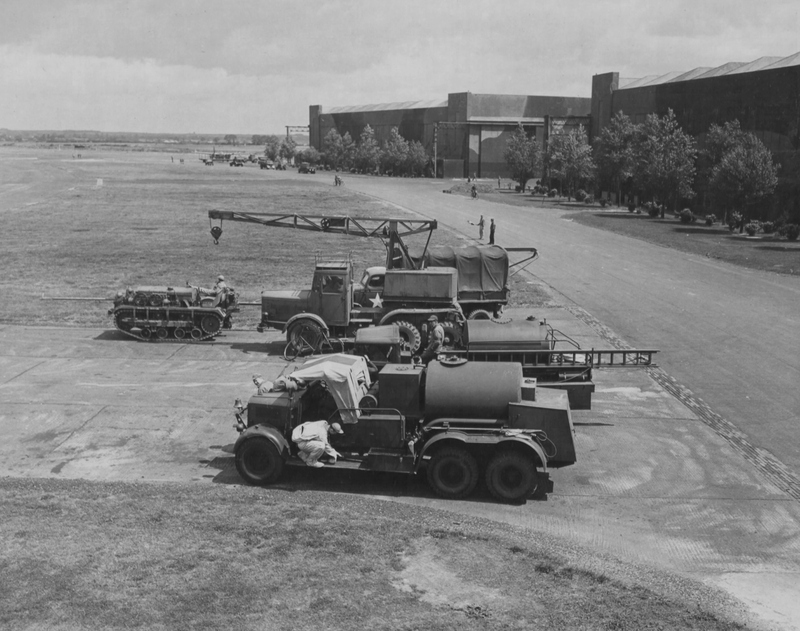 It was actually agreed at the highest level from the outset - the Yanks would focus on bringing their operational equipment over to start with whilst we supplied the supporting elements as part of the lend-lease agreements. This has reminded me I really should note down where this stuff is when I find it - it'll take me ages to find the documents again! So I'm reliably informed all USAAF bases in the UK were in fact still RAF Stations and on 'lone' to the USAAF, so there was an RAF Officer nominally in charge usually of the rank of Sqn Leader or above. 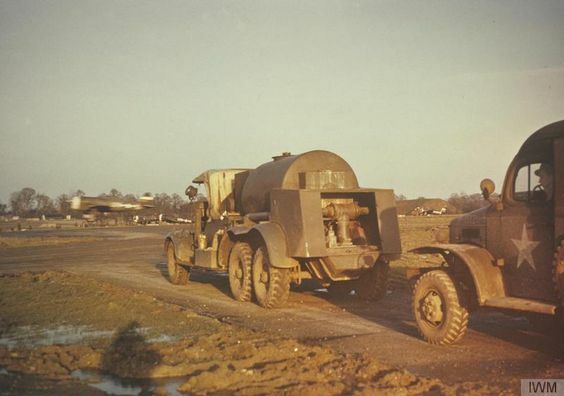 As mentioned above British kit in USAAF service was quite normal even an Austin K2. Larry still so. Internal security is carried out by USAF personnel, external by MODPlod and either MGS or MPGS (Military Provost Guard Service) who were formed to act as armed guards in place of MODPlod. In fact MODPlod HQ , AKA the College of Knowledge is at Wethersfield an ex USAF base. Just thought, one reason for using British supplies is the USAAF didn't pay for them! However, we paid for any and all US supplied equipment. I wonder if the Crash Tender in front of the Dodge is green or brown or even US OD? The colour looks the same as the Dodge to me although its difficult to see. I do think I see a difference on the tenders rear left cornor though. The Dodge is a 1/2 ton ambulance.